When Ariadne Labs wanted to create a simple and scalable way to make surgery safer and easier, they approached the problem the old-fashioned way. Ariadne Labs convened a team, explored their options, and ultimately found a solution. What they found was that a simple surgery checklist, which created a basic communications structure, could reduce patient deaths by 40% and reduce complications by a third, saving the hospital untold millions. Ariadne Labs arrived at their solution through traditional means, but what they found speaks volumes about the importance of teamwork and leadership. With some communication, personal initiative, and a culture of innovation, Ariadne could become a center of innovation, one example of leading through change. It can happen in your hospital, too. Here’s how technology supports innovation through teamwork and leadership. The world of medicine is simultaneously one of the most futuristic and most culturally rigid. Hospitals are often the training grounds for tomorrow’s next-generation technologies. The other side of the coin is that within medical institutions, there’s great institutional pressure to maintain systems as they are. It’s natural, too, and through no fault of the individuals—there’s high pressure coming from daily life-or-death encounters, seemingly insurmountable bureaucracy, and numerous different interest groups. However, the costs for failing to innovate can be high. The benefits of innovating are enough that a cottage industry is springing up, through events like last week’s World Medical Innovation Forum. Nancy Schlichting is the CEO of the $4 billion Henry Ford Health System, and has been something of an evangelist for innovation in the healthcare world. One of the greatest threats to innovation, according to Schlichting, is the stifling institutional pressure to avoid voicing new, seemingly “crazy ideas.” In an address to the Business Innovation Factory, Schlichting explains that she identifies people like this—the ones with innovative ideas—and keeps them in positions where they can continue to innovate. One of the most crucial steps for creating a culture of innovation is to do as Schlichting does in her own practice. Physicians should be involved in decisions, and it should be clear that those in positions in authority are receptive to new ideas. In order to lead through change, there must be a culture that values change. “My basic goal as a CEO,” she says, “is to create an environment where everyone can reach their full potential.” If your hospital does this, the innovation will flow. Of course, as hospitals build a culture of innovation, the innovators will be helped along the way by powerful new technologies. As is so often the case, tomorrow’s leaders will need tomorrow’s technologies. According to Dr. Ruth Tanzi, PhD, a keynote speaker of the World Medical Innovation Forum, discoveries aren’t just the result of innovation. They’re the result of “a tsunami of new insights, tools and investment,” a mix of the personal, the technological, and the financial. It’s clear, then, that innovation is essential for cutting costs and saving lives, but it takes technology, too. Innovative healthcare solutions like those provided by Adora will be indispensable for augmenting tomorrow’s medical field innovators. 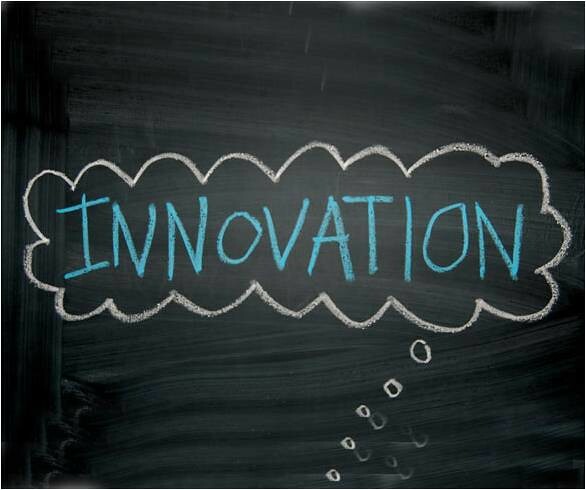 How has your hospital taken steps to incentivize innovation? Let us know in the comments below!